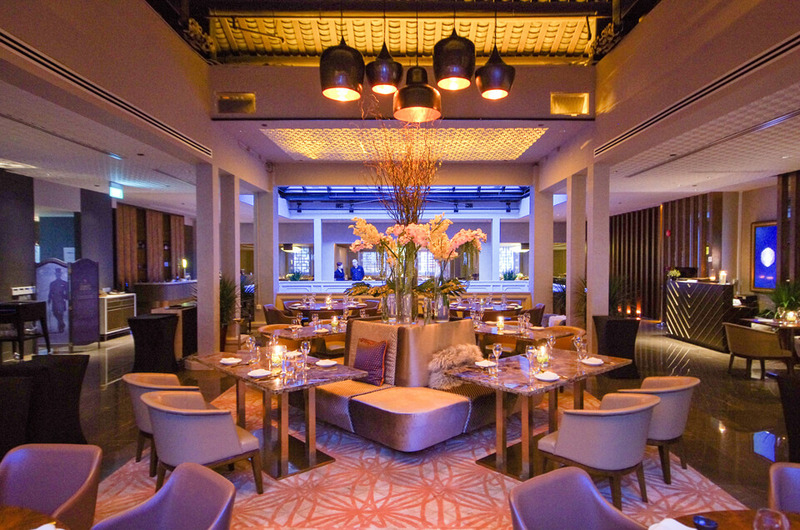 Situated in the heart of Clarke Quay, VLV Singapore is an all-in-one lifestyle destination combining luxury dining, entertainment and nightlife concepts in four unique zones: VLV Restaurant, Courtyard, Club Lounge, and Riverside Dining, all under one roof. 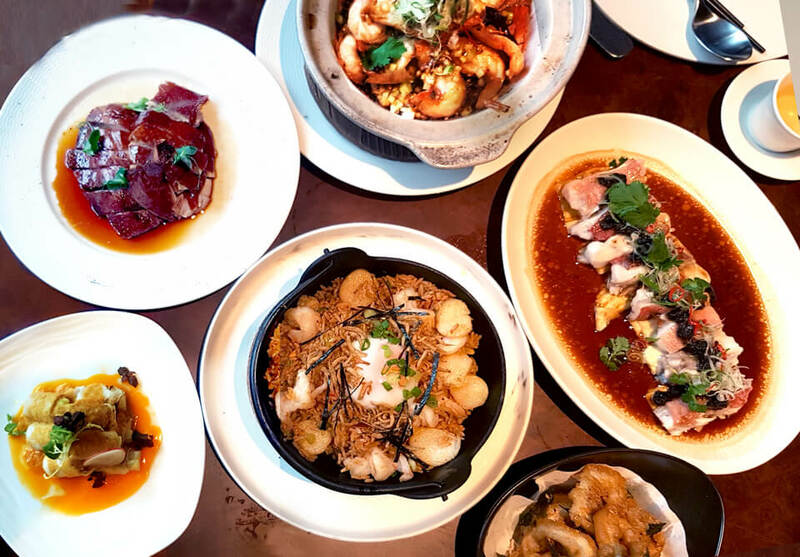 Helmed by Executive Head Chef Martin Foo – renowned for its exquisite creations melding traditional Cantonese flavours with modern techniques. VLV Restaurant has launched three new Lunch Sets that are perfect for a mid-day retreat with friends or colleagues. Our PCO writer tried out 2 of those sets and has crowned her favourite. The ‘Signatures’ Lunch Set, priced at $138++ for 4 persons (maximum 2 sets per group), features some of Chef Martin’s most iconic creations at VLV. This is an excellent option to take if you are meeting clients or a business partner that you will like to impress. For starters, dig into the Aburi Kagoshima Kurobuta Roll, followed by Crab Meat Spinach Soup with the subtle fragrance of spinach against the succulence of the crab meat. (This is an excellent replacement for shark’s fin soup, for those of us who are concerned about the state of our ecosystem.) For the Instagrammers amongst us, the Kimchi Seafood Fried Rice is one dish you definitely must try. Finally, end off this satisfying meal with the light and refreshing Roselle Flower Osmanthus Jelly. For those of us who like to hold private parties, VLV is also an ideal location. 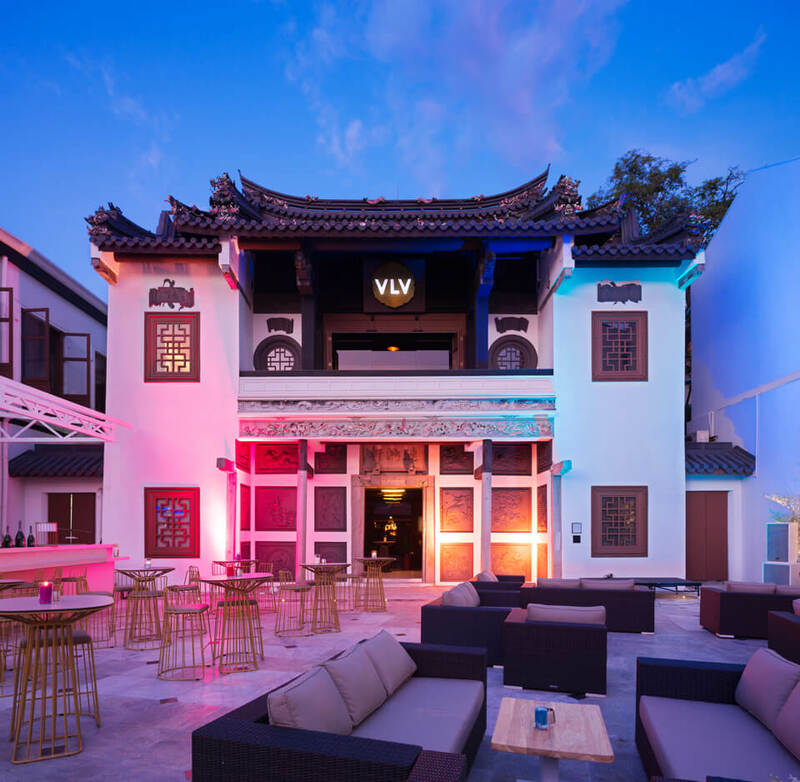 Remodeled from one of ex-Teochew warehouses from the 1880s, VLV is housed in one of the oldest buildings in Clarke Quay. You can hold your event at any of the 4 concepts available, or in its private room that can house 50 pax. We also found out that Chef Martin is open to customising menu to suit the theme of your event.